There is a popular saying, "There is no business like show business". 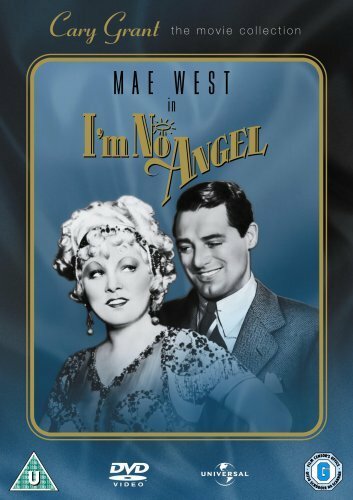 Mae West illustrates and depicts the role of a free spirited 'Tira' in this 1933 movie ‘I'm no Angel’. Back then, she was already an established personality on screen; one who commanded immense respect among her peers in the industry. Known for her witty one liner and double entendres, Mae West stars in this movie in which she provides the story, screenplay and dialogue. In order to get out of a messy situation, Tira in search of money agrees an offer to put her head into a lion's mouth. The offer was in New York and was a sell out attraction. She attracted a lot of rich men. A harbinger previously predicted her man of future to be a rich guy with black hair. In search of this, she did socialise with a lot of men, while specifically going into the details as specified by the fortune teller. Receiving presents through social gathering from rich men was a common norm. Jack Clayton played by Cary Grant tries to untie the infatuation of his friend with Tira. His friend was in a relationship and to stop further embarrassment, Jack takes up the role to convince Tira to stop entertaining his friend. Along the way, Jack gets fascinated by Tira's charm and in turn Tira feels she has found her man. Tira, her show business career made acquaintance with a lot of men, one such hopeless guy is Slick Wiley. He used to live on Tira's money and never liked the fact of Tira getting close with rich men. When Jack and Tira decide to get married, Slick plays an evil trick on Jack claiming Tira was already married to him. The marriage is cancelled. To get someone you love, one needs to fight certain circumstances. Tira acts as her own attorney in court over a breach of promise suit. She questions the men from her past in order to prove her innocence. Mis understanding is cleared and finally all hurdles are cleared. 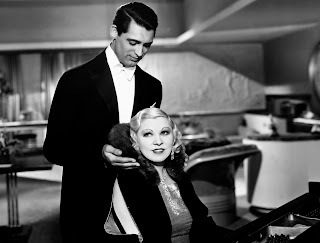 Directed by Wesley Ruggles this movie united Cary Grant and Mae West for the second and the last time together.